Learn How To Make Friends With Libra!  The friendliest of all signs, Libra natives want to be surrounded by the people of the same light attitude to life. To make friends with them, show them you’re open in your feelings and emotions. Sing and dance together or even flirt with them and tell jokes – these people will appreciate such types of behavior! Libra representatives like those of high emotional intelligence and it means that you shouldn’t build brick walls between yourself and these people. Instead, try to behave as friendly as possible if you want a Libra person to feel comfortable and consider you his or her friend. Openness is the key to success! What Sign Is The Perfect Match For Libra? Can you confide in Libra?